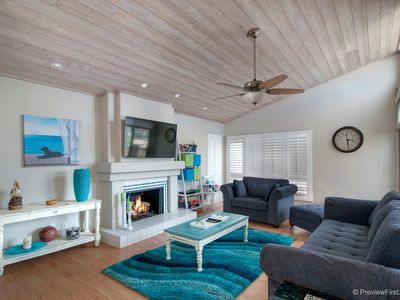 Enjoy beach living at its best in this cozy, newly renovated bungalow just a short walk to La Jolla Shores Beach, Avenida del la Playa, and the world class shops and restaurants of La Jolla Village – easy, simple, and ideally located! 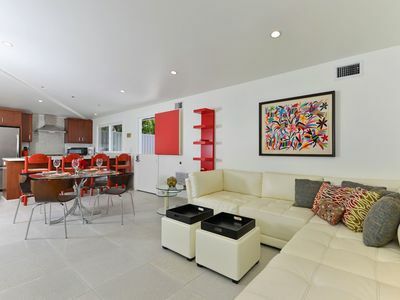 The home has A/C for the individual rooms which is controlled by a wireless remote for each respective wall units. 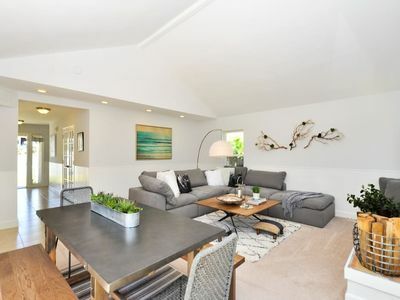 This truly classic 1-bedroom, 440 square foot home has everything you need to make your stay in gorgeous San Diego one you will never forget. 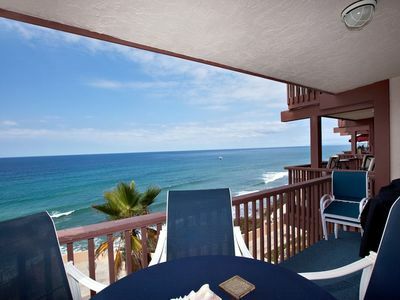 It is the perfect place for a romantic getaway or a personal retreat. 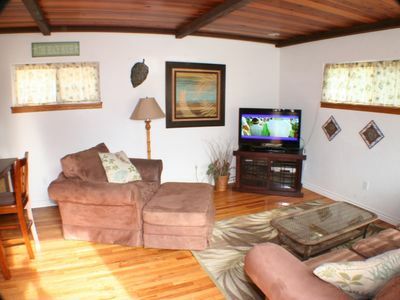 This spacious bungalow offers high-vaulted wood ceilings and a bright living room with a skylight. 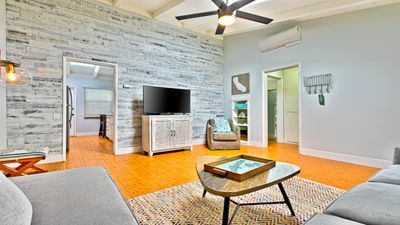 The beach inspired décor and comfortable seating, a ceiling fan, and a 42” wall-mounted flat screen make it the perfect place to relax and watch a movie when you are not at the beach or enjoying La Jolla Village. 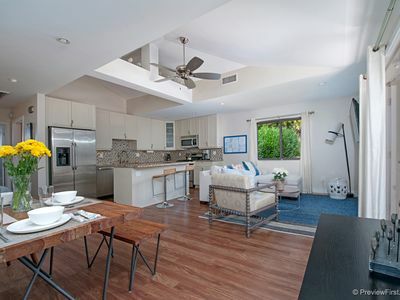 Gorgeous hardwood floors and updated appliances and furnishings throughout the home also give it a warm, welcoming, yet serene feeling. 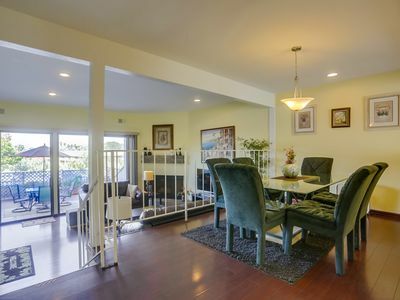 There is also a dining table for 4 in this great room area. Enjoy preparing meals for family and friends in the fully equipped kitchen with granite countertops, a modern back splash, and all of the cooking essentials you need to meet your culinary needs. A quaint breakfast nook in the kitchen is a great place to have your coffee while breakfast is being prepared! The well-designed and spacious master bedroom offers vaulted ceilings, calming décor, a 40” flat screen TV, and a full an ensuite bathroom. A ceiling fan and natural lighting make it is wonderful place to be. 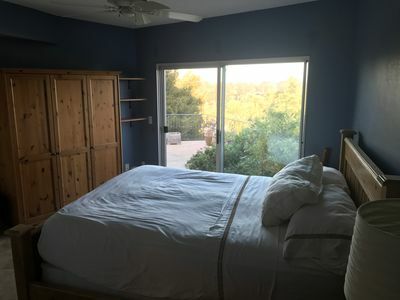 Taking a nap or curling up and reading a book might be very enticing options. 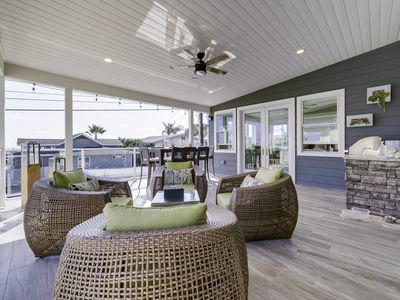 This home has everything you could want and is in the perfect location. Take a quick walk down to the beach to relax, play in the sand, rent kayaks, explore the caves, or take a surf lesson! 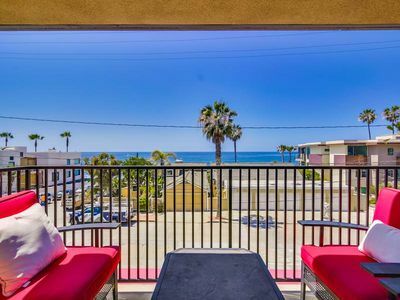 Amazing local restaurants, surf shops, and convenience stores are just a few steps away. 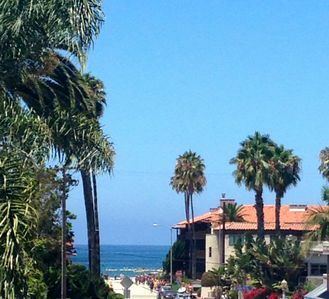 You won't ever want to leave. Beach chairs, towels and a beach umbrella at the property are for your use. Off street parking for one car is included. 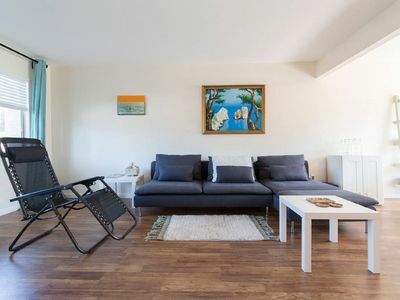 Ideal location with a beautiful beach, caves to explore, and convenience stores just a few steps away. Its clean, simple presentation which gives it a very calm and peaceful, yet spacious feeling inside and out. 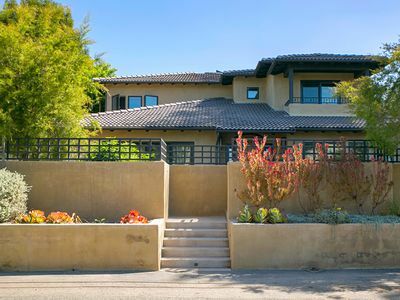 Easy access to freeways in the event that you wish to explore the many world-class attractions of the greater San Diego area. 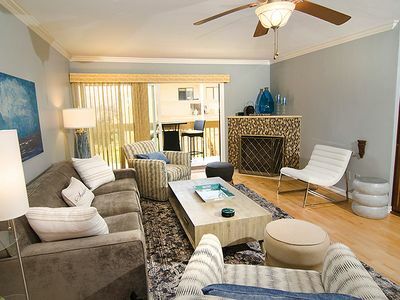 This home is located in a quiet neighborhood and is only suitable for quieter groups. Our rental agreement includes a no tolerance policy regarding excessive noise, occupancy and/or parties. Deposit forfeitures and/or evictions are strictly enforced. Please make sure you are comfortable with these policies before renting. 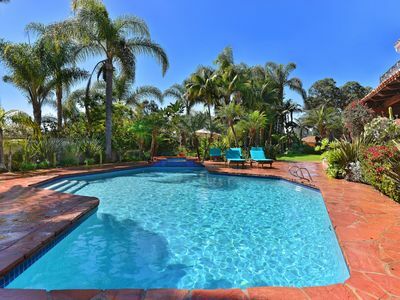 PRIVATE GROUNDS WITH POOL SURROUNDED BY PALMS TREES! 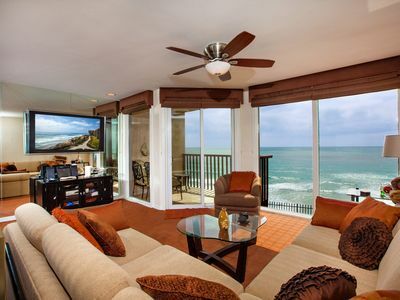 Windansea La Jolla Condo with a view! 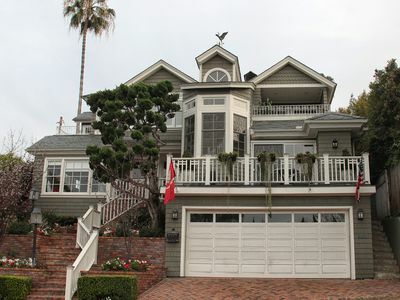 2 master bedrooms + walk to the beach! 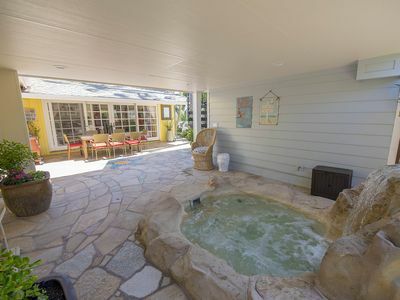 French Style Home with Hot Tub and 2 blocks to beach! 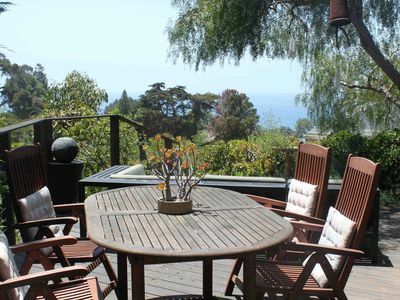 Gorgeous New Craftsman with ocean / sunset views!